Assoc Professor Dr Ramamurthy completed his medical studies in India in year 1996 and pursued his Diploma in Dermatology (Cardiff - 2000), Fellowship in Laser Surgery (Bangkok - 2002) and Certification in Pain Management (Paris – 2003). After being appointed as the Vice President of Association of International Certified Aestheticians in 2012, he was honorarily awarded the Letter of Credentialing & Privileging (Aesthetic Medicine) from the Ministry of Health in 2013 and currently heads the Asia Academy of Aesthetic Medicine. He has been lecturing in several universities in Malaysia since 2002 and was currently awarded the Honorary Diploma for Intellectual Progress in Society by Oxford. He is also the Key Opinion Leader for several renowned aesthetic pharmaceuticals companies, such as Dysport (Neurotoxin), Decoria (Hyaluronic Acid Dermal Filler), Algenesse (Agarosse Dermal Filler), N-Finders (Thread Lift) and other companies. Dr. Ananda is a board certified Plastic Surgeon with more than 15 years of experience. He completed a one year fellowship in Burns, Reconstructive, Laser and Aesthetic surgery from Taiwan. 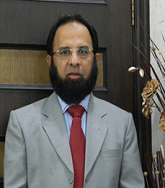 He has published more than 15 articles in various scientific journals. He has vast experience in Burns, Reconstructive, Laser and Aesthetic Surgery. He is a member of the Malaysian Society of Plastic and Reconstructive Surgery (MSPRS). Dr. Kong Chee Kwan has double qualifications as a general and plastic surgeon. He started his career in general surgery since 2004. He served as a general surgeon at the country Ministry of Health Hospitals before underwent sub- specialist training and board certified as a plastic and reconstructive surgeon. Consequently, University Malaya appointed him as a Senior Lecturer and Clinical Specialist in the Department of Surgery. Dr. Kong has trained many general surgeons as well as plastic surgeons in the country. He has published numerous papers in reputed journals and has been serving as an editorial board member of Malaysia Medical Journal. Facial Aesthetic units, plastic and reconstructive surgeries. Neoplasms, Tumors connected to epidermis, Sebaceous tumors, and Dermal Cysts.